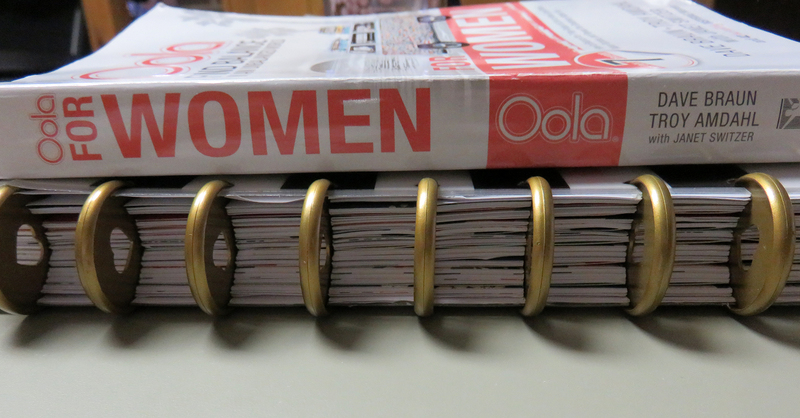 Oola for Women Book Review Mama Say What?! | Mama Say What?! 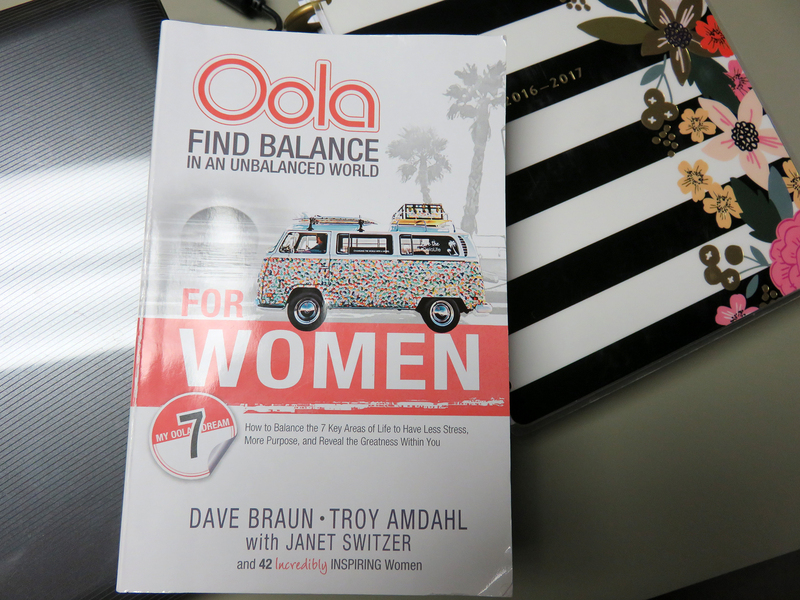 I got the amazing opportunity to review Oola for Women by Dave Braun and Troy Amdahl along with help from Janet Switzer (because we all know a book for women should have help from a woman). Try to picture me winking. Before I get to the book I want to give you a little background on how I heard about the review opportunity. I am a lover of Young Living Essential Oils and have been since 2015. 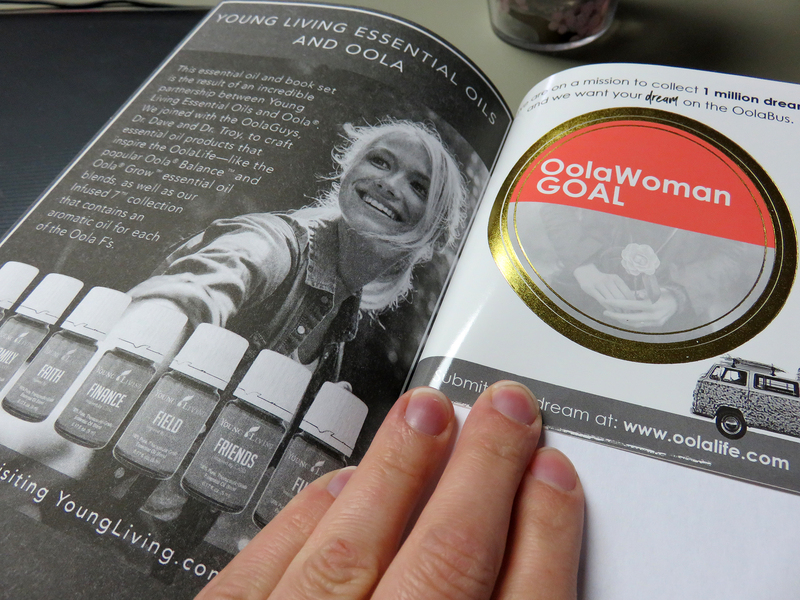 I’ve heard about the Oola line of oils, but I haven’t tried any. One day I found that Young Living had a 21 day Oola Challenge or #OolaYLchallenge. I signed up for the daily email to see what this Oola business was all about. During this challenge, I get an email saying there is an Oola for Women book and I threw my name in the pot for a chance to get a copy. I was extremely excited when I was chosen from over 500 bloggers to write a review for Mama Say What?! I’m new to Oola so this book was perfect for me, and I think it could be a great addition to the self-improvement section of your library. What is “Oola”? Oola (originating from the word “oo-la-la”) is a lifestyle based on the International best-selling book, Oola: Find Balance in an Unbalanced World. The 7 F’s of Oola are also very clever. The name of the essential oils are the 7 F’s. If you want to snag your own collection, you can check out my link to get a membership and be that much closer to Oola. These Oola Guys travel the world in a vintage 1970 VW Surf Bus collecting stickers of folks dreams. They inspire positive change to guide people toward finding more balance and growth in the 7 key areas of life. They want to help you remove the stress from a life out of balance and reveal the greatness and purpose that is inside everyone. A better “you”, makes a better family, a better community, and ultimately a better world. What the Oola Guys found throughout their journey to Oola and teaching others how to achieve Oola is that a large majority of their Oola Seekers are women. That brought them to write this book. The book covers the 7 F’s (fitness, finance, family, field (career), faith, friends and fun), 7 Oola Blockers (fear, guilt, anger, self-sabotage, laziness, envy, and lack of focus), and finally the 7 Oola Accelerators (gratitude, love, discipline, integrity, passion, humility, and wisdom). As a woman, professional, and mama of two with number three on the way, I could really relate to all of these issues. It is hard to find balance when you constantly hear from friends that your life is crazy-busy and they don’t know how I do it. Well, I don’t even know how I do it! Some things I succeed at, some things I totally fail. It can be hard to find your focus and fix your issues and achieve balance, be less stressed, and not feel crazy-busy. What I like about this book is that it lays it all out for you. When I first started reading it, I thought, “Oh geeze, these 7 F’s are sort of common sense. I wonder where the writers are going to go with this.” It isn’t common sense for everyone and every now and again, sometimes we need a little push from an outside source to throw it in our faces and point it out to us. What are some issues you face in your life? How can you find a way to fix them that works best for you and your family? Since, this book resonated with me and I am always looking for a way to learn, build my resumé, challenge myself, be a good mama, wife, daughter, co-worker, employee, I think it can resonate with you as well. There is a myriad of women types in this book. For example, there are stories from working single women, working mamas, stay-at-home-mamas, entrepreneurs, etc. sharing their personal stories. Like Mama Say What?! Mamas and Guest Mamas, I think you can find an Oola Seeker or Oola Guru that reminds you of you. Each chapter explains either one of the F’s, Oola Blockers, or Oola Accelerators, then leads you into two personal stories (one from a woman Oola Seeker and one from a woman Oola Guru), then wraps up the chapter on how you can achieve balance on that particular topic. Prior to the chapter intro there are inspiring quotes from famous women that the Oola Guys describe as Oola Gurus. I really liked these quotes and it was a fun way to start a chapter. It was also neat to read a personal quote from a woman Oola Guru. I mean, think about it, we all start out as an ordinary person and become extraordinary in our own way. The Oola Guys capture some of this for us and put it in a positive perspective. My favorite chapter is on the Oola Blocker; Fear. You will have to read it for yourself, but I’m going to open the clouds for you and let that beam of light shine on your beautiful face. A lot of us have “fears” and not all of them are something you can overcome. The Oola Guys say, “decide if it’s just fear or truly a bad decision.” What you may be battling with could just be a fear (something you can overcome), or it could be a dangerous situation that may hurt you. I always thought I was doing pretty well to meet my goals. From reading this, I realized I was missing the mark more than I knew. Now I know I just need more focus and a path to get there. I’m going to use the tools in this book to find my Oola. I guess I’m officially an Oola Seeker. Yes, it is a crazy word, but I find it really is a thing. Are you an Oola Seeker or an Oola Guru? Added by Sarah K. on December 6, 2017.